The comic updates on a weekly basis. Be sure to subscribe to the newsletter or follow us on facebook to be updated ! 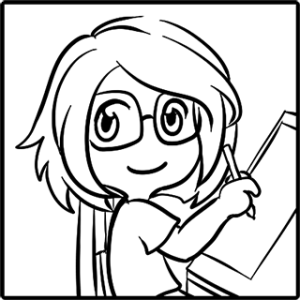 Comic devs is a site with typical comic content created, built, organized and updated by Vivi and Vlad. We are two indies, artist and programmer, doing what we love most, building games and creating comics. Comic devs is not oriented towards a specific niche of comics, as the subject may be entirely different from one comic to another, however, the comic will most often be related to elements found in our daily lives and from the gaming industry. Viverly is the in-house artist. Extremely talented and passionate, she has been drawing and creating art since the age of 7. She draws every day for pleasure and is currently working on building computer games. She can draw a wide variety of styles and has degrees ranging from marketing all the way to 3d modelling, rigging and animation. Nowadays she dabbles with Maya, Zbrush and Unity in a quest to study and discover in order to be able to create more. 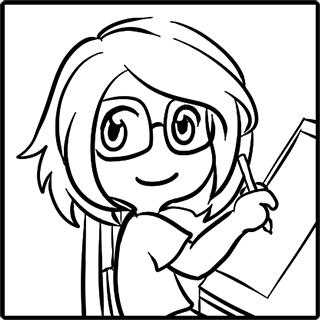 The style used for the comics is a personal and original style, that she has been used to draw with since young. She uses photoshop and SAI for editing and creation. The most exciting thing for her is to see the reaction people have towards her art. Vlad is an experienced software developer with two bachelor degrees, a games programmer with over 50 released games under his belt, and over 18 years of programming knowledge. He usually hides behind all sort of books and design patterns for most of the day, and dances away the rest of it. Independent developer since 2009 , when leaving Europe for the first time, Vlad has traveled and lived throughout Asia, from the rocky peaks of China's Yellow Mountain, to the beautiful white beaches of Philippines' Palawan. 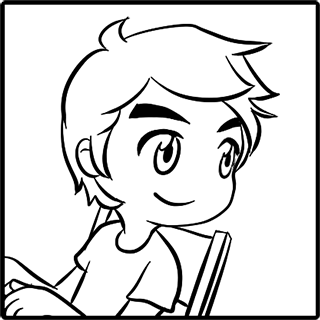 In Comic Devs, Vlad manages the website and all the social aspects, and helps with envisioning the comic and panels. Always open to ideas and suggestions, far too friendly for an introvert, he's looking forward to hearing your thoughts. Comic devs was born as we wanted to have our own home that contains moments from our daily lives as indie developers. Above all, we're very friendly so expect that any message you send will be greeted with a great attitude.